There’s a new emergent dynamism that’s driving a fresh vision which is sweeping through all sectors, lifting the traditional base to new levels and asking how we can entertain a gambling and gaming community better. 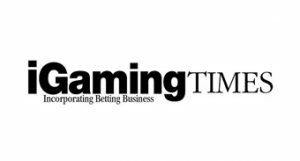 iGaming Times reflects that vision, using a tried and tested ethos: top quality analysis, and a commercial reach that helps our partners move their business forward. Our new name signals the next step forward for the GB Media group which includes our sister titles Casino Review and Coinslot International – who combined publish almost two international gaming and gambling publications each week of the year, three daily gaming websites, and everything else that entails. There will be no gaming and gambling sector left unnoticed by I Gaming Times; it will seek to feature every element that makes this industry operate. It will be your business newspaper for the Sport-betting and I Gaming industry. www.betting-business.co/.